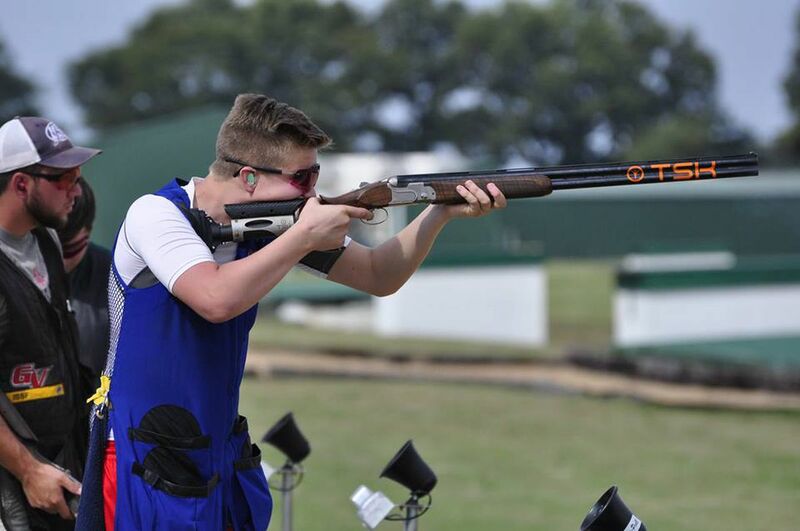 A 16-year-old Anchorage boy defeated a stellar field to capture the men's victory Tuesday at USA Shooting's Shotgun Fall Selection match in Tillar, Arkansas. Grayson Davey fired three perfect rounds during the four-day trapshoot competition to win with a score of 237 out of a possible 250. He beat 2014 national champion and current world-record holder Jake Wallace of Castaic, California, by one point. The win earned Davey a spot on the U.S. team for the 2018 season-opening World Cup competition in Guadalajara, Mexico. Davey is a junior in Alaska Pacific University's early-honors program. He has competed in trapshoot since he was 11, said mother Lori Davey, and has won several state titles and other competitions. But none of his previous accomplishments match Tuesday's. "This is by far the best he's ever done," Lori Davey said. Davey topped a field of more than 200 men, including five-time Olympian and 2008 gold medalist Glenn Eller, who placed fourth with a 233. He shot perfect scores of 25 on three of the four days. He fired a 25 on both Saturday and Sunday to stake an early lead with a score of 121. He shot 68 of 75 Monday and finished strong Tuesday by hitting 48 of 50 targets, an effort that included a perfect score in the competition's 10th and final round. In the women's competition, Eagle River's Corey Cogdell-Unrein, a two-time Olympic bronze medalist, placed seventh with a score of 218. Ashley Carroll of Solvang, California, won with 229 points.